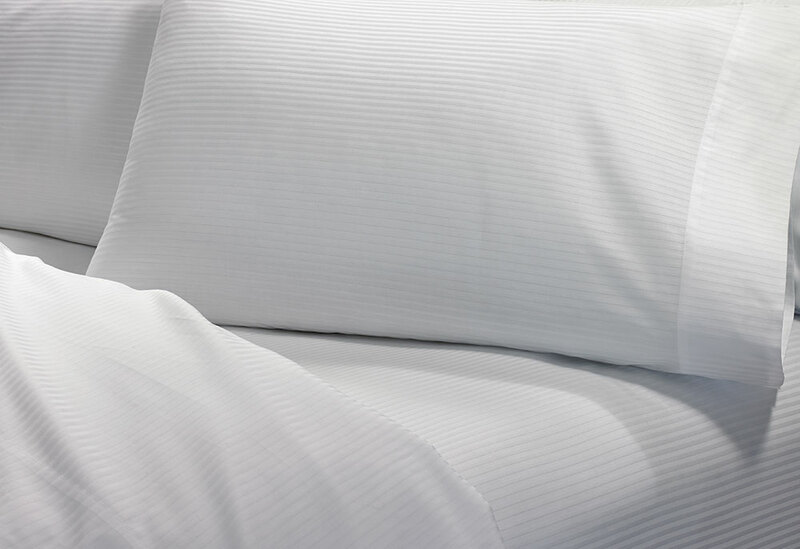 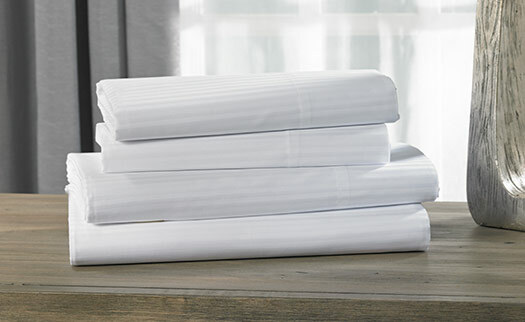 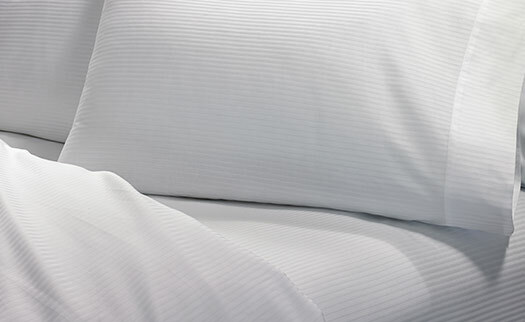 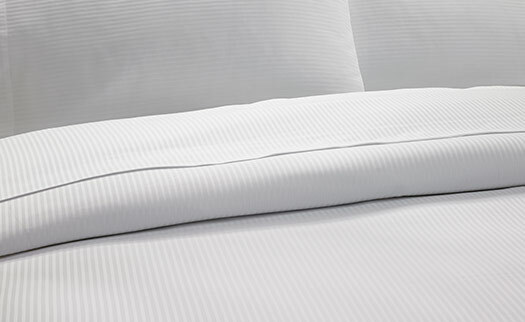 Indulge in blissful slumber with the Hilton Cotton Stripe Sheet Set, including a flat sheet, fitted sheet and two pillowcases, all made of 100% Egyptian cotton sateen. 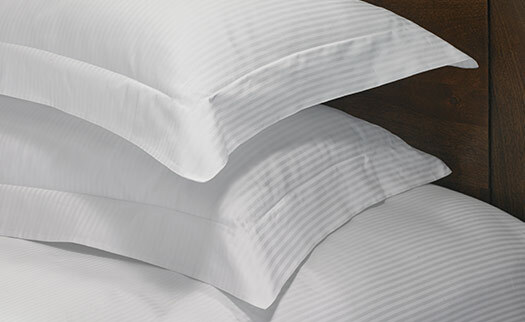 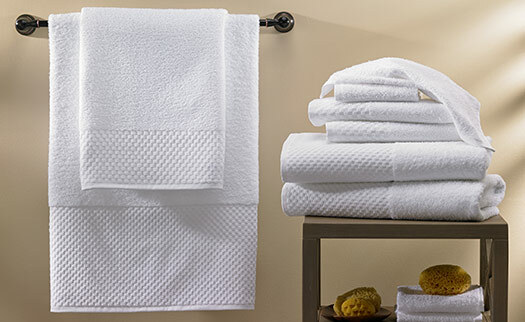 The design is woven in a tone-on-tone white stripe, a striking yet timeless look for you to enjoy night after night. 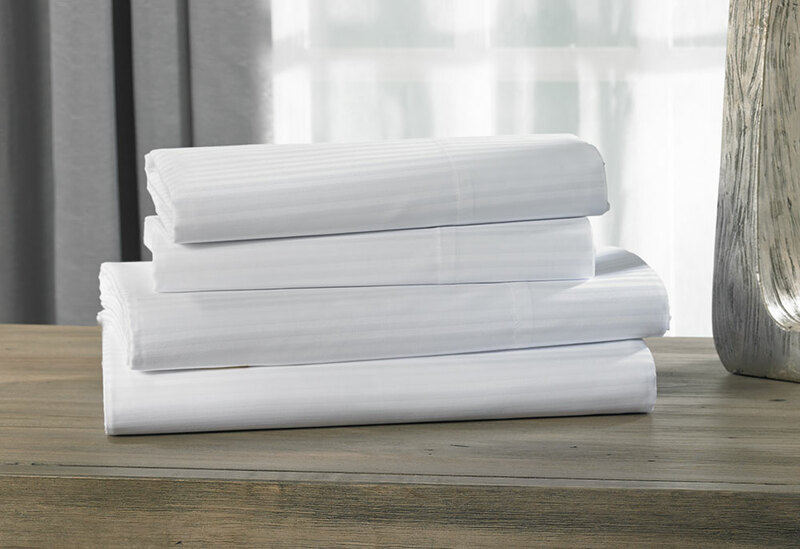 Our Hilton Cotton Stripe sheets are the perfect complement to your bed decor and will provide the long-lasting softness and comfort you need to fall fast asleep.